Online shopping has become the norm now. Most of the shoppers I interviewed this Holiday season proudly declared they did not set foot in a store. Even though online sales are growing, Amazon owns approximately 44 cents of every dollar (according to eMarketer) making the battle for online sales fierce. While you can’t compete against Amazon and it’s massive resources, you can bolster your online sales by taking a lesson from Amazon’s play book. Here are three winning strategies to incorporate for e-commerce success. Since the day Amazon opened its virtual doors we have all come to expect fast, free shipping. Spoiled? You bet. But since this is new standard, you need to provide the swiftest and friendliest order fulfillment possible. Offer multiple shipping methods including expedited. Customers LOVE free shipping. Set an order amount that will encourage customers to fill their cart to achieve the free shipping level. Communicate with your customer. Promptly send order status and shipment tracking emails. Enclose a coupon for the next order. Encourage product reviews. While customers love product reviews, trying to get a review is like pulling teeth. We are all inundated with review requests, so you need to make an offer that appeals to your customer. What will cut through the noise, what motivates your customer? 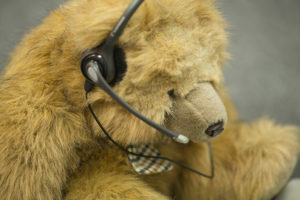 Easy to access customer support – with a HUMAN (or bear). The last time I was able to talk to a human about my order I was so grateful I almost forgot what I was complaining about. Easy and generous Return Policy. When I think about where retail is headed all signs blaze ONLINE. But the biggest obstacle to online is that customers can’t try out the product before purchasing. This is why it’s important to make returns easy as possible. I don’t think twice about purchasing on Zappos (don’t tell hubby) knowing that if the shoes don’t fit it’s easy to return them. But if the return process is going to be painful, I don’t even shop on the website. While you may not be able to offer the same 3-click return process offered by Zappos (owned by Amazon), a clear, detailed return policy goes a long way to easing customer concerns. Since the customer can’t see and touch the product, the product description needs to provide the information needed to allow the customer to make an informed decision. Add images of the product from different angles and include a common object in the photo to show the product size. For instance, add a deck of cards or an envelope next to the product. 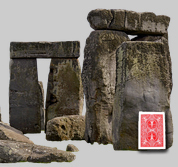 Do you remember Spinal Tap dancing around an 18“ Stonehenge (thinking they ordered 18‘)? Date of manufacture or expiration date. Special shipping charges if applicable. Special return policies if applicable. Images of the product from different angles. Photos of the product being used by a customer. Special instructions (eg. batteries not included). It costs a lot more to acquire a customer than it does to keep one so make every effort to build customer loyalty and encourage repeat business. A study by Invesp Consulting found that repeat customers are 50% more likely to try new products and spend 31% more compared to new customers. While it’s important to acquire new customers imagine the revenue increase if every new customer became a repeat customer. The program needs to be easy to understand. Be clear about how many points are acquired per dollar spent, what a point is worth during checkout and any restrictions. Make the points actually worth something. If the customer has to spend a lot to receive very little, the program will not encourage sales. Make the sign-up process easy. If you are using a form, the less fields required the more likely it will be completed. You can follow up later requesting more details (as a way to provide a better shopping experience for the customer). If reward points will expire, send email alerts to the customer prior to that date. I have seen forums explode with customers angered by the sudden disappearance of their hard-earned loyalty points. Make it painless for the customer to redeem points during checkout. For instance, if the customer is logged into their account they should be able to see points accrued and easily apply them during checkout. Start with the strategies that are easiest to implement and keep building from there. You will soon figure out the most successful E-commerce strategies for your business.